02:02 — Bananaman: The Musical. 03:44 — Star Trek: Bryan Fuller signs up for TV series. 05:28 — Star Wars: 1977 print released by fans. 08:09 — Back to the Future: Fan made prequel trailer. 09:39 — Chairs: Nissan self parking chairs. 11:29 – Doctor Who: Seasons of Fear (Big Finish). 23:06 – Game: Things in Five Words. 28:16 – Deadpool (the film). 41:41 – Science of the Time Lords event. 71:07 – Farewell for this podcast! BBC: Nissan’s self-parking robot chairs tidy up offices. Big Finish: Seasons of Fear. TARDIS Data Core: Seasons of Fear. 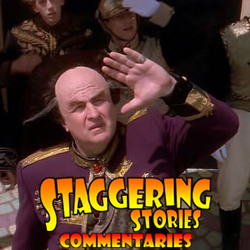 Adam J Purcell, Andy Simpkins and Keith Dunn sit down, peeling, in front of the Season 4 première Babylon 5 episode, The Hour of the Wolf, and spout our usual nonsense! The Lurker’s Guide to Babylon 5: The Hour of the Wolf. Wikipedia: Babylon 5 – The Hour of the Wolf. 02:56 — Doctor Who: Moffat arson gambit. 03:14 — Queen Liz 2: Arrested for murder with a baguette. 03:27 — Shatner: Implodes under his own gravitational pull. 03:45 — Star Wars: Ban on non-female character toys. 05:28 – Doctor Who: Chris Chibnall showrunner reaction. 15:21 – Game: Things in Five Words. 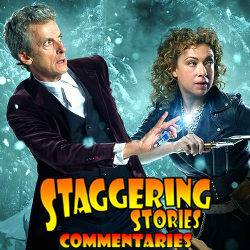 19:44 – Big Finish: Ranges we recommend. 34:20 – Farewell for this podcast! 36:20 — End theme, disclaimer, copyright, etc. 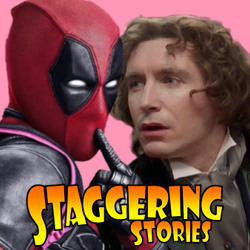 Adam J Purcell, Andy Simpkins and Keith Dunn sit down, beheaded, in front of the 2015 Doctor Who Christmas special, The Husbands of River Song, and spout our usual nonsense! BBC: Doctor Who – The Husbands of River Song. Wikipedia: Doctor Who – The Husbands of River Song.